Systems administrators and power users know that the Mac's command-line interface can be a powerful time saver and, in many cases, the only method to accomplish certain tasks. But OS X brings its unique capabilities to the command-line table, in the form of utilities that leverage OS X's user interface, file system, and security capabilities. 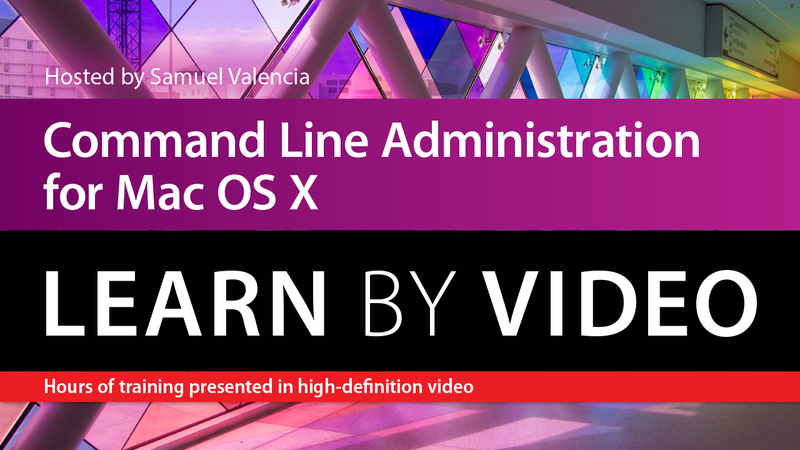 This introduction to Command-Line administration teaches users the basics of building workflows and remote administration practices relevant to many server technologies.